Fiskars Triple Track CUTTING & SCORING i1555 Trimmer Blades 00706 at Simon Says STAMP! 00706 /0.4 This item is on reserve until If you would like to reserve this item now, you may purchase it now with the rest of your order. We will hold your order now and ship your entire order as soon as this item is back into stock. If you would like your order to ship now, please place this item on a separate order. 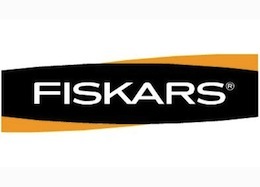 Success, Fiskars Triple Track CUTTING & SCORING i1555 Trimmer Blades 00706 has been shared! Make sure your folds are smooth, straight, and crack-free every time with a scoring blade. The scoring blade creases the paper (without cutting it) to create a folding guide and natural hinge for cards, brochures, tags, and more. Slide the blade carriage down the rail to the blade removal groove. When nearing the groove, begin pulling it up and it comes right out. Set the new carriage into the groove, slide it up the rail and you're ready to cut. This is an I style blade. Set of 2 blades, 1 cutting & 1 scoring.